Tying together ecological sustainability and modern lifestyles, this book focuses on the science of moving in healthy ways as a means of healing both the earth and the individual. Its heavy emphasis on healthy living generates a necessary bridge between personal well-being and the well-being of the whole environment, and is yet another strong voice in the general call for more active, mindful lifestyle choices. Bowman, a biomechanist, does a fine job communicating the hidden significance of everyday acts, such as walking, sitting, and buying prepared food, in digestible sound bites. This is no dense academic treatise; it is written specifically to appeal to the average person, actively acknowledging commonly asked questions about activity and exercise. As in the case of walking overland versus walking on a treadmill, the author consistently calls for an entire way of life that incorporates movement and activity with being outdoors and interacting with nature. Exercise enthusiasts may find it especially interesting, but the advice seems tailored for the person whose gym membership and office job fail to inspire. It has potential broad reach and should not be ignored when building an alternate health collection. The book is organized as a series of essays and grouped thematically. The three appendices contain useful information for anyone who is inspired by the content. Two of these three are concerned specifically with child rearing. Parenthood is a consistent theme throughout the book, though secondary to movement and ecology. The author introduces several examples that are anecdotal, based on her own children. Citations appear at the conclusion of each essay. 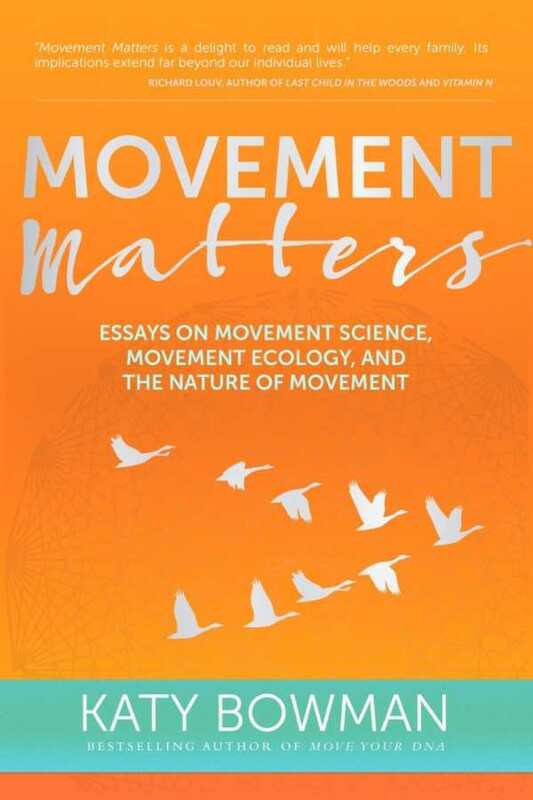 Movement Matters is a continuation in a popular trend toward a holistic approach to health and ecology. Ideal for nutritionists, fitness experts, and anyone seeking an all-around healthier lifestyle.